HotForex, sometimes shortened to HFEU, is a part of the HF Markets Group and is a world leader when it comes to leveraged CFD trading. 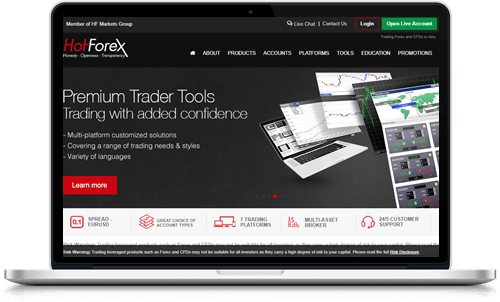 We have been trading a bit with Hotforex lately and are deeply impressed with the experience. The broker is regulated in Europe and has an impressive selection of great trading platforms, analytic tools, educational material, and everything else you would expect from a driving force in the industry. Are you interested in trading forex and CFD? Then you should really take a closer look at our in-depth Hotforex review. We will walk you through everything you need to know about Hotforex before you sign up; from accounts to platforms, assets, and everything in between. Hotforex is an excellent broker that belongs to the top list of the best brokers in the world. They have already been around for a few years and have satisfied customers from all over. However, lately, HotForex have quickly grown in popularity and today, they see a consistent increase in new customers. This broker has a good selection of tradable assets in several assets classes as well as all the trading platforms and charting tools you need to become successful - even on a professional level. Not to mention the easy-to-use platform. In total, Hotforex provides access to seven asset classes, eight trading platforms, and large selection of charting tools. To us, it is not surprising why Hotforex is the preferred choice by many day traders as well as less experienced traders, and we suggest you consider them too! HotForex is not a scam by any stretch of the imagination. But how can we be so certain? There are several reasons. First and foremost, HotForex is licensed, authorized, and regulated by the Cyprus Securities and Exchange Commission (CySEC), and CySEC only regulates the safest leaders in the industry. In order to be accepted for a CySEC license, a broker needs to live up to a lot of very strict requirements, and they have to agree to be audited at random on a regular basis. In addition, HotForex’s slogan is “Honesty, Openness, Transparency,” and we know for a fact that this is something the broker takes extremely seriously. In fact, HotForex strives to be as transparent as possible and to treat every customer with the utmost respect. HotForex has also been awarded for their excellent customer service and client fund protection on several occasions. Compared to some of the other market leaders, HotForex’s selection of assets is smaller, although there are more available assets than most would need. The selection is divided into seven classes according to the following setup. Forex – As the name entails, the main focus of HotForex is forex trading. Today they offer a total of 50 currency pairs ranging from the largest ones to some smaller and exotic pairs. Metals and Energy – With a HotForex trading account you can buy CFDs on a collection of metals and energy commodities. This section is divided into spot contracts and futures – the choice is yours. You can find commodities such as crude oil, silver, gold, and natural gas. Indices – This is one of the smaller asset classes on HotForex, and it gives you the option to speculate on indices such as Australian 200, France 40, UK 100, US Wall Street 30, and a few more. Shares – 53 of the world’s most influential companies have their stocks listed on HotForex. The focus is on the European and American top performers such as McDonald’s, Amazon, Volkswagen, Bayer, etc. Commodity CFD – HotForex gives you the opportunity to speculate on the price of a handful of commodities including cocoa, cotton, sugar, and copper. Note that the commodity CFDs have an expiration date. Cryptocurrencies – This is the latest asset class to be added to HotForex’s platform, and it allows you to trade with Bitcoin, Ethereum, Litecoin, Ripple (XRP), and Dashcoin. Compare to other crypto brokers here. Bonds – The smallest asset class is the one with bonds. It contains three bonds that come with specific limits. You can trade with EURO BUND, UK Gilt, and US 10YR Tnote. HotForex is collaborating with MetaTrader for their trading platform which means they offer a selection of the most cutting-edge CFD trading platforms in the industry. In total, there are 8 different platforms to choose between depending on which device you’re using and how you prefer to trade. If you trade using a computer, you can choose between the following. HotForex MetaTrader 4 Download – This is the downloadable version of the MT4 that has been adjusted to fit HotForex’s brand perfectly. It is by far one of the best trading platforms in the world, and we highly recommend you check it out. MetaTrader 4 Web Terminal – The web-based version of the MetaTrader 4 is renowned for its practical features and easy to use interface. It’s perfect if you’re trading on a Google Chromebook or using a shared computer. HotForex MT4 Multiterminal – With this platform you can trade with several accounts at once. This platform is developed with professional day traders in mind. The Hotforex RapidTrader API – This platform is powered by Integral, and it was developed for customers who like to use the FIX protocol. If you prefer to trade on your mobile device, you have several options depending on the device you’re using. There is a downloadable app with support for iPhones, iPads, and Android phones and tablets. This is the main mobile app that most use. In addition, there is a web-based mobile app called the HotForex Smartphone Mobile Trading. Hotforex actually has one of the largest varieties of trading accounts of any broker that we’ve reviewed. For example, you can open a micro account, premium account, and even a VIP account. Then there is a FIX account for people that prefer to trade on the FIX protocol. You can also open a fixed account with fixed spreads, a copy account if you’re into copy trading, and an auto account if automatic trading is your thing. As you can imagine, there are different perks and limits to each account and we advise you to evaluate them all before you decide on which one you like. As if all of those accounts weren’t enough, HotForex also has a demo account. The HotForex demo account is designed for beginners that want to give the platform a try before they sign up and deposit money, but it can also be used to test strategies. HotForex’s deposit and withdrawal methods are standard for the industry. 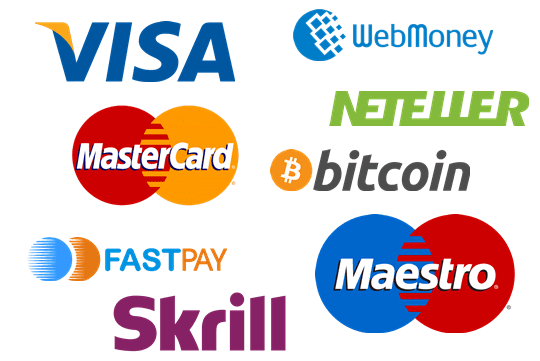 That means you can use most of the common credit and debit cards as well as online payment methods, and even Bitcoin. In addition, you can also use wire transfers to fund your HotForex trading account. We have been in contact with the HotForex customer service on two occasions and so far we have not run into any issues. In fact, both times we got the help we needed in a professional and timely manner. HotForex has been an industry leader since they launched in 2010 and are showing no signs that they are ready to give away their spot in the top tier of CFD and forex brokers. Compared to other brokers HotForex’s selection of assets is a bit smaller but they make that up with an amazing array of trading accounts and practical tools. Not to mention the 8 cutting-edge platforms that all customers get access to.